Phew! I just got a pretty satisfying burst of conworlding done and wanted to share: perhaps someone might find it useful, if anything else as an example of what questions to ask in this process, if not necessarily on how to answer them. Lazarus is the name of the conworld until i come up with a better one. A couple of months back I had an idea for one of my weird conworlds: this time, its a terrestrial that's getting a lot more sunlight from its star and is, thus, while overall terrestrial, hot enough for most of its surface not to be survivable for humans for any meanigful period of time (daytime temperatures at the equator would literally kill you after hours): its also smaller and with a higher oxygen concentration than earth: I've an idea that it wasn't always this hot, and that much of it was at one point temperate, and perhaps will be again: I wanted to explore verticality, geographical isolation, and so on, as well as, well, broadleaf forests over which the sun doesn't set. The idea that humans only live on the highest peaks also attracted me, though it ended up being the case that most of its survivable area isn't, in fact, mountains. oh well. So i started out with orbital parameters and the usual stuff, but that's not fun and has been done to death: so let's go with plates. which, after some fooling around and some therapeutic tracing, gave me this elevation map. 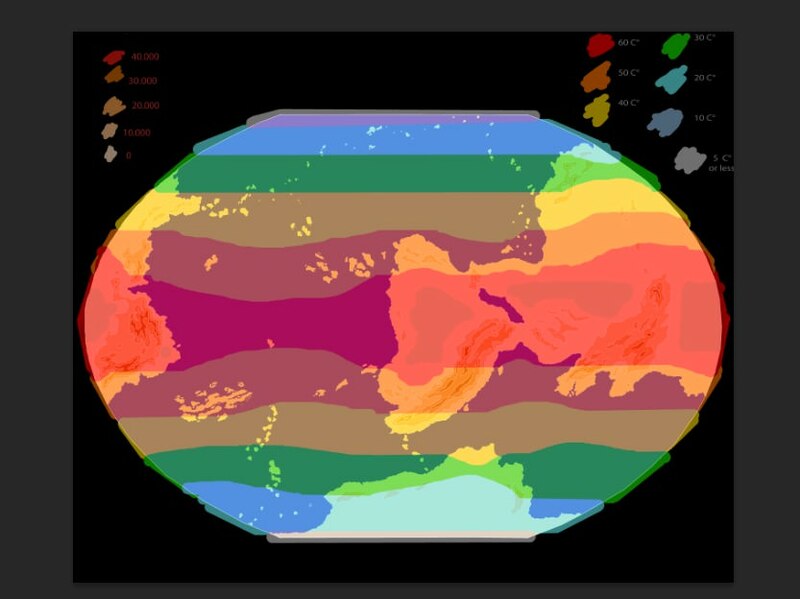 first up you define, according to your astronomic calculations, the mean temperature that you'd get in each location: for me, this works out to about this. and then you move the temperatures according to the effects sea and land have. and finally, work out how altitude causes cooling: for me, this was about one increment of temperature for every increment of altitude, but i've tried to make it weighed by how close to the next coolest or hottest band we are: also, maybe mountains cause more cooling nearer the poles, since shadows are longer and therefore keep the valleys refrigerated, but i don't think this effect would be all that noticeable. 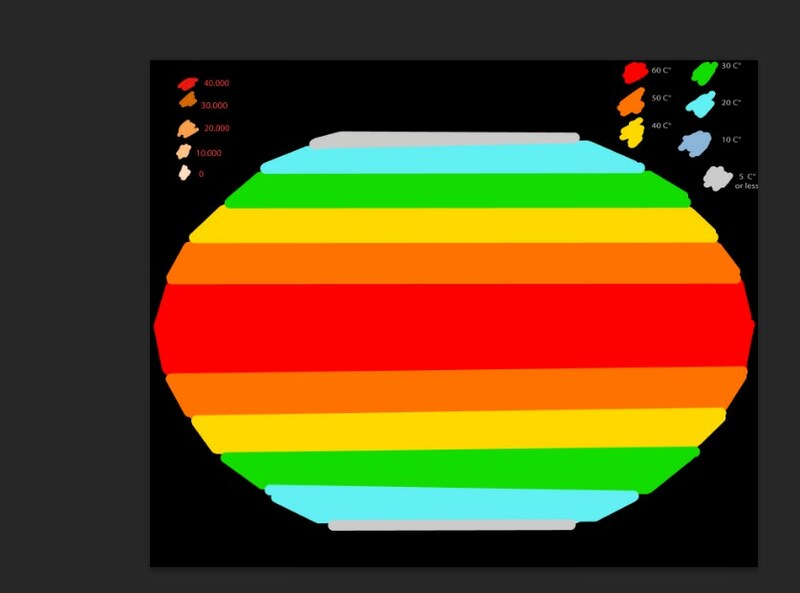 you may have noticed I've changed the green: the cause of this is that i'm protanomalous and thus was having trouble distinguishing the old green from the red: the new scheme is also more graphic, cause whatever isn't clearly yellow is viable. At any rate, average temperatures of 30 is something we get here on earth, so this is what I'm going to stipulate makes a piece of land survivable: this doesn't mean no people will live in the yellow areas (or maybe even somewhere in the red!) but they won't have very high densities, won't be able to develop farming, and probably will live quite different lives and even become physically very different, perhaps living in caves and only coming out at nigh: tviable land here means viable land for people who live in houses, produce food, and walk around during the day. What's nifty about the result, I think, is that it yields a few very large interconnected areas of survivable territory: the aleutian-like islands near the north pole plus the north of the big pangea is one and the south pole antarctica analogue is another, but it also yields a number of smaller, isolated worlds: some of these isolated worlds could come in contact with the large polar temperate regions, such as the east coast of pangea or the island chains to the south, but others like the couple of viable places in the mountain ranges south of the pangea and the three little peaks near the center of the map, are absolutely isolated by thousands and thousands of kilometers of lowlands where a human wouldn't last a day. 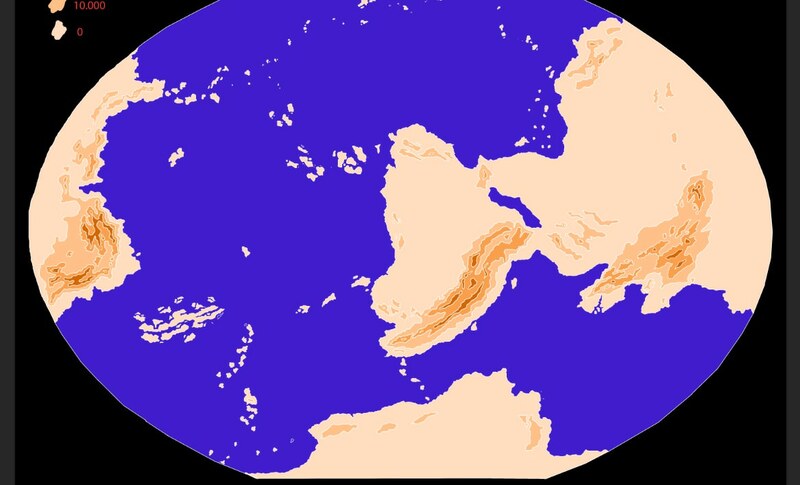 A cool thing you can do whenever you conworld is think about the past: since i'm working on viability given unusual climate, the question asks itself: in the past, which i've mentioned was cooler, which areas were connected? well, the answer is this. I've also coloured in something I call "cultural areas". what I mean by that is areas where specific innovations were likelty to diffuse in the planet's cooler past: a cultural area is a bunch of terrain that *was* viable in this cooler past (maybe 1000 years ago) and that has more or less the same latitude: in this i'm taking a page form Jared Diamond's GGaS's idea that innovations in technology and culture tend to diffuse sideways a lot more that they diffuse up and down: perhaps I should have adapted the idea altitude-wise, since a farming technique, or a forge design, or a crop that works at 10.000 above sea level will probably not work at 30.000, but alas, thatll have to be left for another day. This last map gives me a solid prompt to come up with language families, and gives us a few clues about where the first industrial civilizations will arise on this world: I'm thinking west coast, since there's a lot of cultural diversity for imperialists to exploit less civilized peoples and for various innovations to coalesce, as well as having the distinct advantage that it'd make things look much cooler to have factories and airports cradled between huge peaks in a warm Himalayas. anyway, that's what i've been up to. EDIT: do the pics render now ? Last edited by Torco on Tue Mar 27, 2018 4:25 pm, edited 6 times in total. Your images are all just "image" for me. I'm not sure how you go about calculating temperatures - from what I've seen of real climate simulation, this is an extremely complex and contentious area. The only image I can see is the one with the plates. Incidentally, on the plates, my understanding is that while there are fully oceanic plates, there are no fully continental plates; instead, just parts of various plates (sometimes large portions) are continental. I'm thinking of like, the North American plate, which has both continental crust and oceanic crust in it. 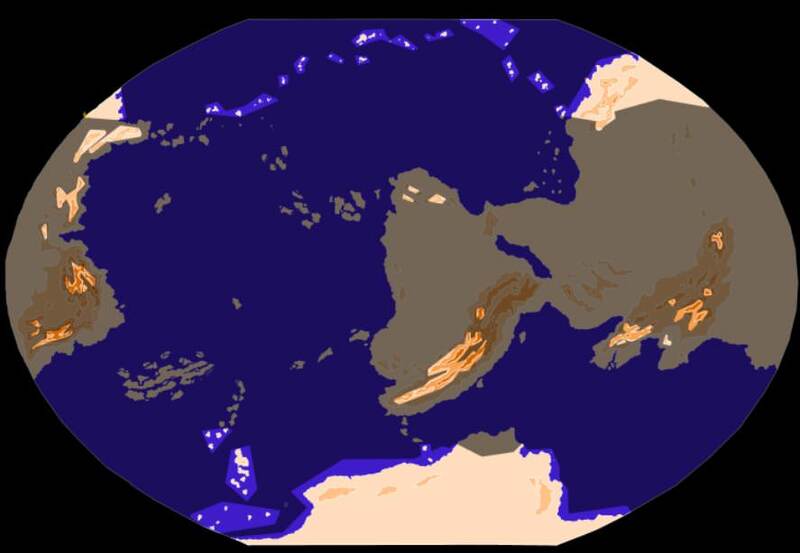 Are your continental plates fully continental, or are they just the ones that have continental bits? Is that so ? I wasn't aware of this. well, i'm not calculating them: what I did is more like guesstimate them out of real-world mean temperature maps of earth, which go from -30 to 30, and bring it up so it goes from 60 to 0. 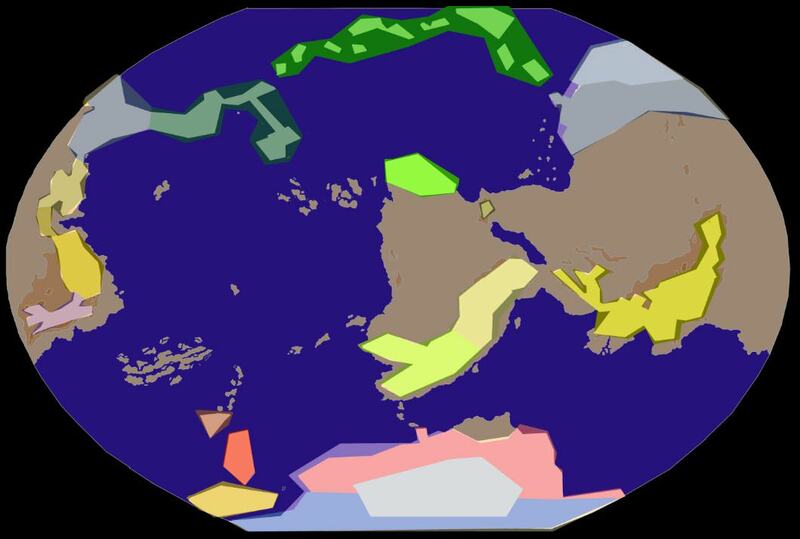 I like the continents map. (are you just guessing on the projection, or using a program?). And the general concept - worlds that are only habitable in certain areas are something that've always appealed to me. I'd have thought the land would have more effect on the temperature. But more importantly, I think you should be less interested in average temperature anyway, and more in temperature fluctuation. If an area's 30 degrees all year round, that's one thing; if it's -10 sometimes and +70 at others, that gives a very different impression of habitability! Also: humidity matters, a lot. Six hours at 35 degrees can apparently kill humans - with high humidity. But in deserts, people can survive much higher temperature, because it's dry (so they can cool through sweating - once the air is wet AND hotter than body temperature, you're buggered, basically). So your habitability might be much more generous in desert areas - people might have to spend the middle of the day indoors, but can come out and even farm in the survivable morning and evening and cool down during the night. I like the idea of humans confined to compact little habitats, perpetually on the verge of natural disasters from which they cannot flee. I imagine some of these humans may not know that other humans even exist. OK, so what you mostly need here is not normal temperature - "dry-bulb temperature" - but instead "wet-bulb temperature". Wet-bulb temperature is the temperature recorded by (simplifying) a thermometer covered in a damp cloth - the drier the air, the more the water evaporates (cooling the thermometer), so this effectively measures both humidity and temperature. This is of course how sweating works as well. If body temperature is higher than the wet-bulb temperature, that means that sweating can reduce body temperature. If wet-bulb temperature is equal to body temperature, cooling is impossible, and if wet-bulb temperature is hotter than body temperature, the body will increase in temperature. Humans are built to operate just below 35 degrees. So a wet-bulb temperature of 35 degrees is the kill point for humans - in that environment, the human body overheats, and physically cannot cool down by its own efforts. Illness sets in quickly, and within hours can be fatal - apparently, say, 6 hours at 35 degrees, and obviously less at higher temperatures. Because the wet-bulb temperature is a reading covered in water, WBT equals dry bulb temperature when humidity is 100%. So at 100% humidity, 35o is fatal. In Manaus in the wet season (87% humidity), the kill point is 37o. * In London in August, temperatures have reached 38... but because the humidity then is only around 72%, the kill point is around 40o. In Santiago in January, the record is also around 38 - but there, with only 57% humidity, the kill point would be around 44o. So, what you want in fact is this site or something similar. You can put in the WBT and either the DBT or the humidity and get the third. You can also alter the altitude - because of course in reality atmospheric pressure also affects evaporation. If your atmosphere is different, it won't be a direct conversion for you, but it can give you an idea. And while we're at it: it's a little more complicated than this, because in really dry, hot places, direct solar radiation also becomes a hazard. So apparently the US military has a measurement that incorporates solar radiation levels into its health assessments. But outside of death valley and the like, I think this is much, much less important than humidity and air temperature. *so actually, Manaus is basically the limit! At those high humidities, the record high is 36o, just below the kill point. They've had up to 38 degrees, but only in lower-humidity months. ** not necessarily true, of course. I'm comparing record highs with average humidities - what matters is whether the record highs have high humidity or not. In London, record highs are usually from displaced continental summer high pressure, so are usually relatively dry (though not always). And in terms of chances of dying, it obviosuly matters how frequent those record-ish highs are... but you get the idea. Anyway, looking at the numbers, it seems that if a place ever gets near the kill point, it'll have heatwaves that kill the old and frail and that make everyone else stay indoors. But they won't necessarily prevent inhabitation, unless they're more extreme or more prolonged. Fortunately, almost nowhere on Earth is actually too hot to inhabit! Yes! thank you, this is exactly what I need, though i'll have to do some work on climatology first (sadly the pics in the church of climatology thread are gone). But it's a solid way to expend the viable, habitable area of the planet. 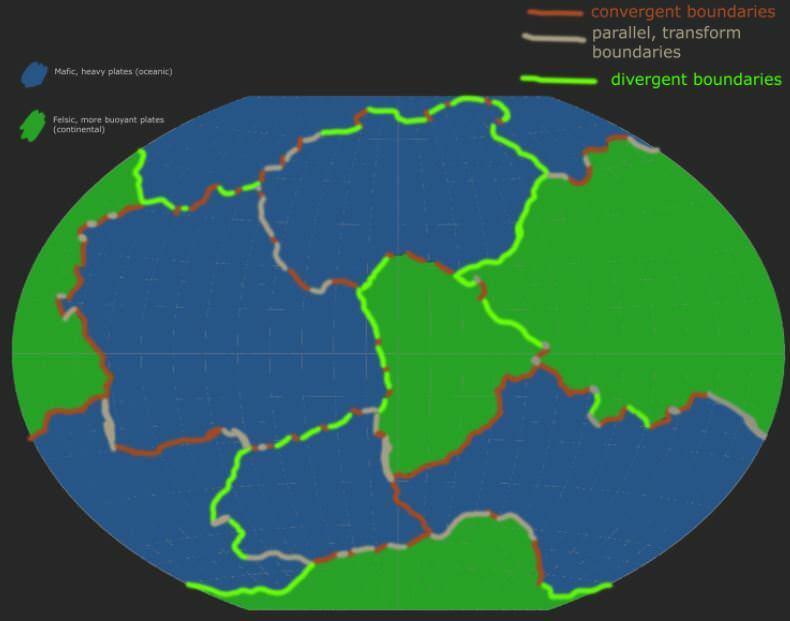 I think this overall is a really neat idea, and even though the new map has significantly more habitability, it's in really interesting shapes that I wouldn't have expected. The big north-south swipe on the eastern continent seems like an excellent place for some interesting cultural interactions between people that live in very different ways (mountains vs. highlands vs. plains vs. islands). Oh, absolutely, especially those guys living at the couple habitable mountain ranges near the center of the map, and probably the southpole people as well! I'm thinking couple hundred to a thousand years? Volcanism would probably increase the amount of atmospheric CO2 in that kind of timescale. thanks, that was the idea. Regarding the importance of max temperature rather than average, I found an interesting thing: if temperatures rise ten degrees or so, a lot of the US, such as Chicago, would be as physically uninhabitable as the Amazon or the Sahara. We don't think of such polar areas as hot, because on average they aren't - but they can still have very high seasonal maxima! And regarding survivability: it should be noted that that 35 degree thing is, as the authors of the study say, assuming that people are naked, soaking wet, sitting still not doing anything and in the middle of a gale. The actual practical habitability (rather than survivability) threshold will be lower, particularly if people have to do physical labour. There are some cities in the Red Sea region that are very hot but also humid: e.g. https://en.m.wikipedia.org/wiki/Climate_of_Muscat with temperatures comparable to the southwest USA and humidity comparable to Miami. Not that humid, and not in the Red Sea region, but I take your point. Muscat does seem pretty brutal. Going by average humidity and average high, it should be liveable, though. It only tips over if you take the most humid months and the highest recorded temperatures - I suspect that heatwaves there are pretty dangerous. But I also suspect that the hottest temperature comes with dry winds off the desert, and that the humidity comes with cooler winds off the sea - that is, I don't know that those record temperatures actually went hand-in-hand with the humidities that would make them really deadly. But yes, I can't imagine you could warm up (or moisten up) Muscat much more and still have it be inhabitable. 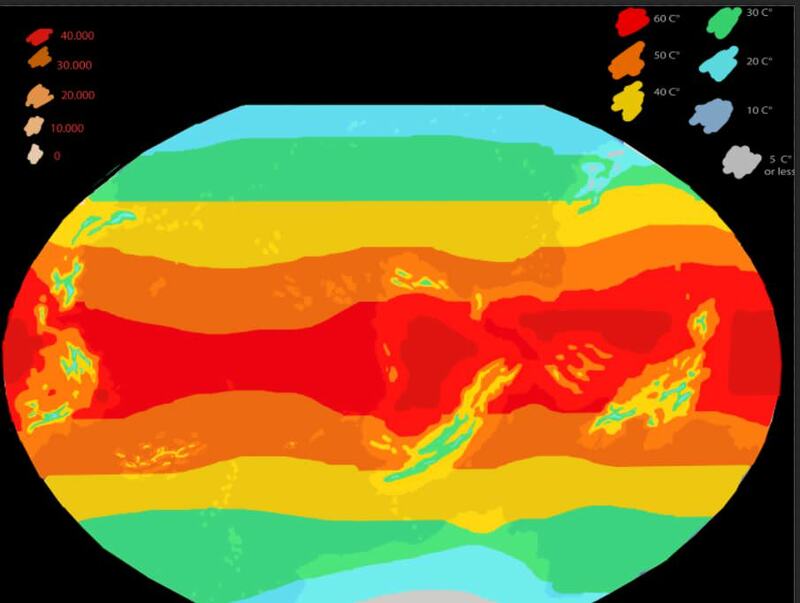 I think that's to do with the continental nature of the US: nowhere temperate islands, or southern Chile, for that matter (we have any latitude you want) do you get dangerous temperatures: what I'm trying to figure out right now is what are the factors that affect temperature variation. very true: but then again, this is kind of what people do. I spent a couple months in paraguay as a kid, and a lot of people, perhaps most people, got off work at 2pm because it was a culturally understood thing that you don't work at noon. (unless you're a white collar and work in an air-conditioned office). I don't think all of the day being cool enough to go outside is a requirement for habitability; you just need to be able to get something five or six solid hours of daylight survivability.